Looking to travel more meaningfully and experience unique stays even on a budget? 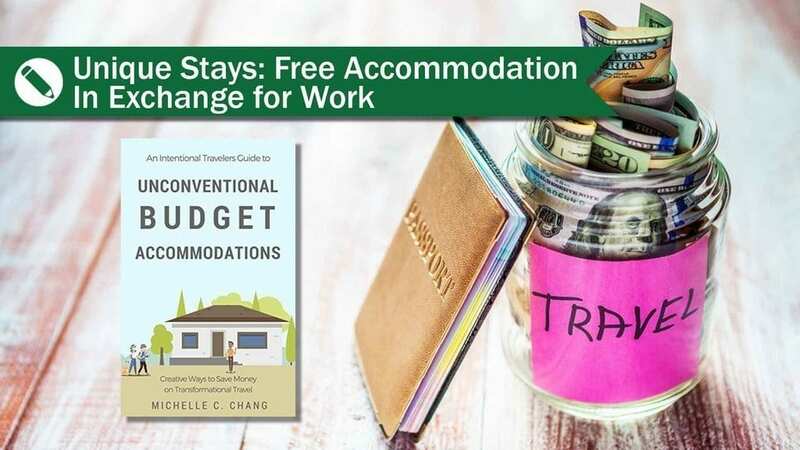 Our friend Michelle Chang of IntentionalTravelers shares details about her new book, An Intentional Travelers Guide to Unconventional Budget Accommodations, a book sharing creative ways to save money like free accomodation in exchange for work. (without sacrificing your travel experience). This book is now available on kindle or paperback on Amazon. There are many different ways to travel. Personally, we like to spend time getting to know a place, its people, and its culture. We aim to keep our costs low and stretch our dollar to create meaningful experiences. Whenever possible, we try to stay active as we travel; and we’re always looking to learn something new. This is one of our best travel tips for anyone that wants to travel on a budget without sacrificing the experience. 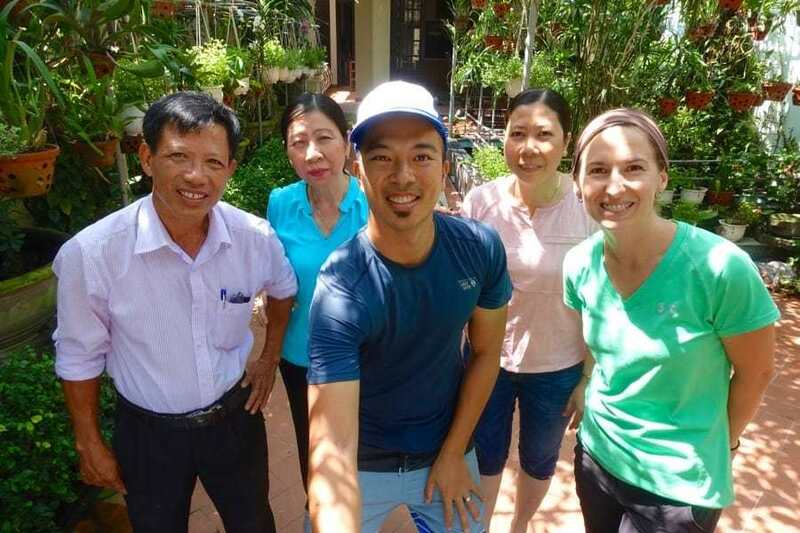 Work for accommodation is an opportunity for travelers to stay with a local host and give a few hours of help per day in exchange for free room and board. A strong emphasis is put on cross-cultural exchange and helping travelers get an authentic experience of the place they’re visiting. The primary online networks for work exchanges include: Help Exchange (helpx.net), Workaway (workaway.info), and World Wide Opportunities on Organic Farms (a.k.a. WWOOFing - wwoof.net). These all have online listings of hosts willing to offer accommodations and sometimes meals, in exchange for a few hours of volunteer work. Terms of the exchange and living arrangements vary by host. 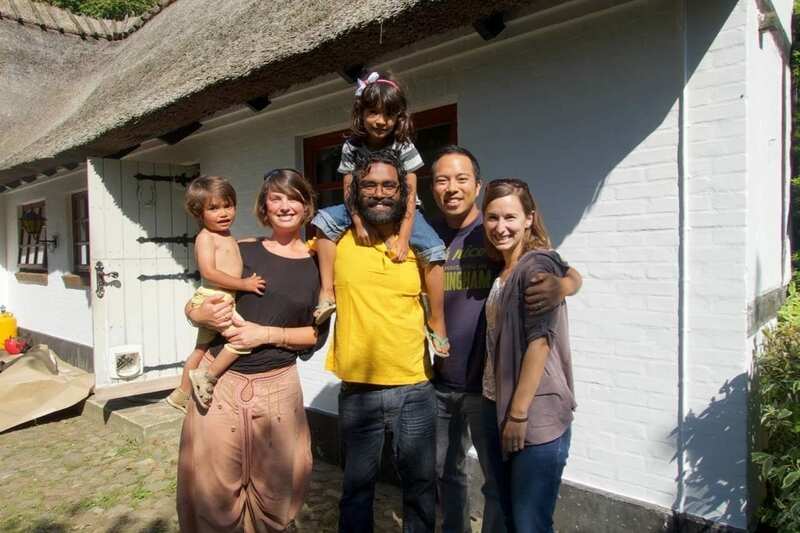 WWOOF exclusively lists organic farm stays and you pay a fee for each country listing you want access to. Help Exchange and Work Away include more diverse opportunities – from construction to nannying to receiving guests at a B&B. Both networks have a very reasonable fee that gives you access to all hosts around the world for two years. 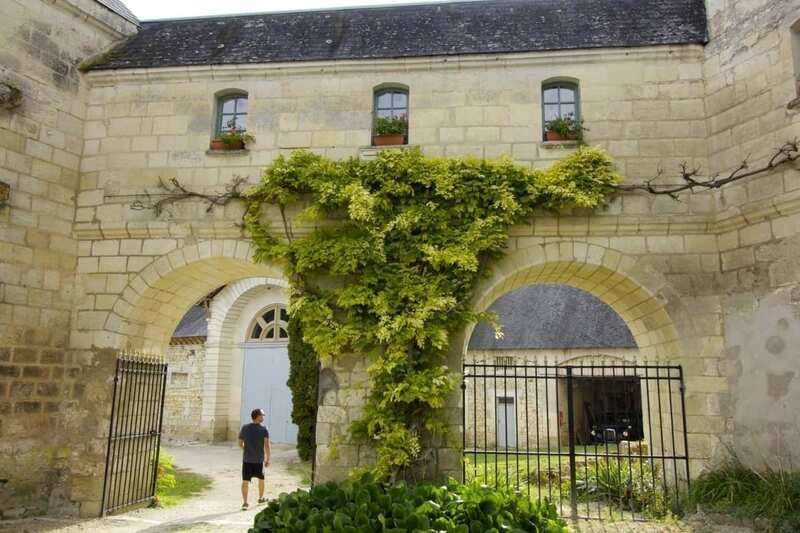 The first time we used the Help Exchange online network, we arranged a free stay at a chateau in the French countryside for two weeks. It was a way to extend our trip and have a unique stay in France for no added cost. Our first work exchange with Help Exchange! Several months before our trip, I searched the Help Exchange host profiles for rural placements in France that would take couples. There are hundreds of farm/garden hosts in the French countryside, and quite a few of them run part-time B&B’s or vacation rentals. I sent out messages to a few of the hosts that looked interesting and had positive reviews on the site. We ended up connecting with a host who lives in a 15th Century chateau in the Loire Valley. They do ongoing repairs and restoration to the castle, maintain 9 acres of land, host events, and run a part-time Bed and Breakfast. In exchange for six hours of work, five days per week, they put us up in an apartment on the property and provided all our meals so we received free rent in exchange for work. Once we dipped our toes in the world of work exchange, doors opened. We realized that we could also use other methods - our personal network and online communities - to find opportunities around the world. We’ve arranged our own work exchanges for varying lengths and using different skill sets. Every summer, we stay in nice homes in Oregon’s beautiful Willamette Valley for absolutely free. Actually, sometimes we get paid to stay in the homes, when there’s a dog involved. Pet-sitting is another way we save money on accommodations, while enjoying the destinations we want to be in. I know that money can be an obstacle when it comes to travel, and lodging is one of the biggest trip expenses. You probably won’t find the strategies I’ve mentioned in this article in a guide book or budget travel magazine. 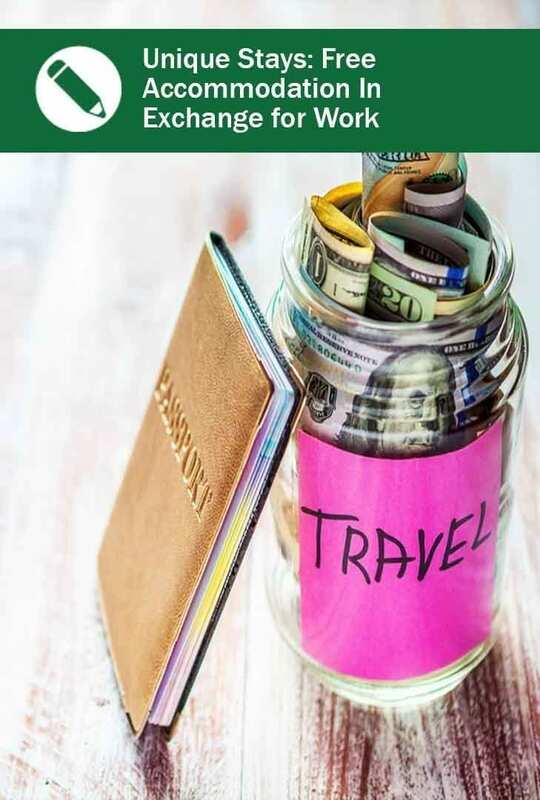 So much “budget travel” advice out there today is either not that affordable or it’s geared toward the young backpacker who doesn’t mind sleeping in dorm rooms. Hostels aren’t necessarily bad, but there are way more unique stays out there that most travelers overlook. We have an unconventional way to travel, but the strategies apply to anyone - whether you’re taking a week’s vacation or heading out on a longer journey. 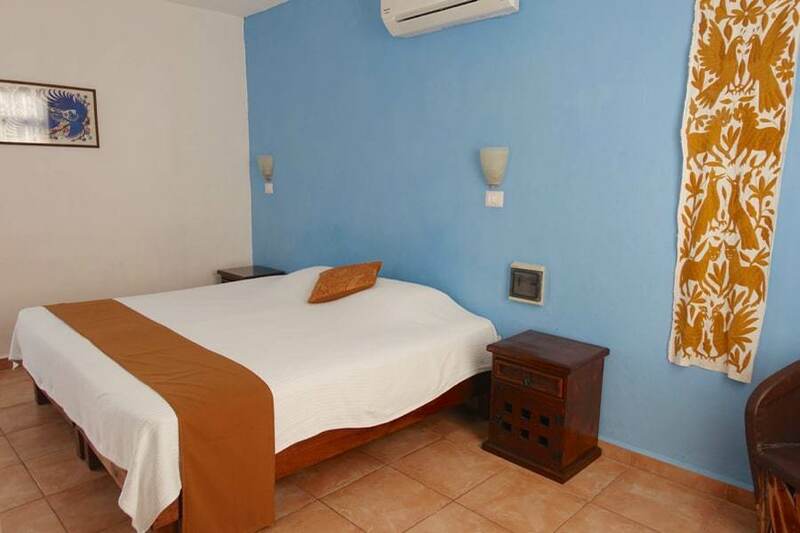 Our unconventional budget accommodation strategies not only save money so you can travel more, but they also gives you a richer experience. ​They help you dig deeper into each place and enjoy authentic local experiences. 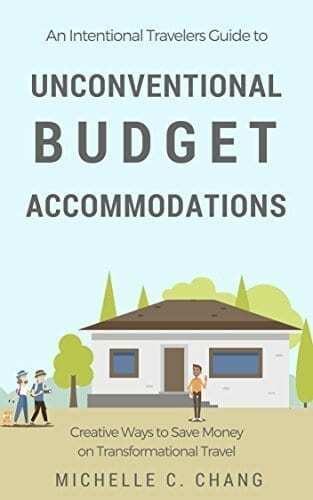 There wasn’t a good resource available about all these unconventional accommodation strategies, so I decided to write one! And you can buy your copy here! Looking for more stories about unconventional, and unique stays? Find more ways to use the sharing economy to save money and travel more meaningfully here. Like this post? Find and Share on Pinterest!